Company deploying around 100 speakers and 50 channels of amplification at the largest on-site hospitality structure. Friday (18 September) saw the start of one of the greatest sporting spectacles on Earth – the Rugby World Cup 2015. Being held in the UK for the first time, this year’s contest looks set to be one of the biggest and best ever. Taking place from now until 31 October, teams from 20 nations will compete at 13 venues across the country, with the final being held at England’s national rugby stadium, Twickenham. This year, for the first time, White Light (WL) is delivering production support for the event. White Light’s role in the running of the event is perhaps reflective of its recent expansion in the fields of audio and visual technology. 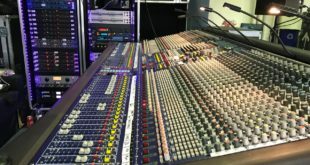 Back in January, the company launched its very own audio department, appointing an expert team and investing significantly in new sound equipment. 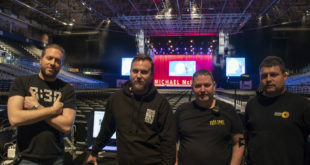 As well as helping to construct three studio (pictured) and two pitch-side sets for the ITV Sports team sets at the Rugby World Cup, the company has also been providing its audio services. 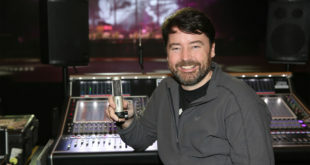 Lee Dennison, White Light’s head of audio, commented: “This Rugby World Cup draws on our strengths as an audio supplier. We’re delivering to the largest on-site hospitality structure, which includes providing a bespoke soundscape for the client entrance tunnel and full audio reinforcement for the match-day hosts along with guest presenters and pundits. This will see us deploy in the region of 100 loudspeakers and 50 channels of amplification – something we are now in a position to offer. “Our sole role in this particular area of the Rugby World Cup is to provide the audio, meaning that the strength and reliability of our audio services is now being recognised and we can consistently deliver to big events such as this." 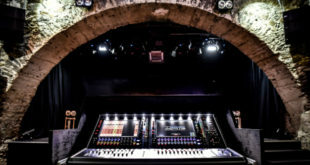 The firm is also handling production support for ‘Home from Home’, which sees the tunnel beneath Twickenham’s South Stand transform into an immersive experience for those attending a match – featuring different colour schemes for each game along with a live AV feed from the stadium above – with audio support coming from 22 EM Acoustics EMS-61 speakers. Richard Stirzaker, White Light project manager, stated: “We were given the brief of transforming an ordinary tunnel into something which would become a unique part of the Rugby World Cup and give the fans something to remember. This is something that has never been attempted at Twickenham before and is a prime example of how WL can now draw on its vast resources to help make an already special occasion even more unforgettable."